•Demonstrate an understanding of the basic principles of developmental kinesiology. •Describe the relationship between development during the first year of life and dysfunction of the locomotor system in adulthood. •Discuss and demonstrate the basis of human movement: support, stepping forward, the biomechanics of motor function, the verticalization process & functional joint centration in postural development. •Evaluate and correct poor respiratory patterns. •Assess the integrated stabilizing system of the spine both visually and utilizing dynamic functional tests. •Integrate corrective exercises based on the DNS functional tests and developmental positions in supine, prone, low kneeling, oblique sit, and quadruped global movements. 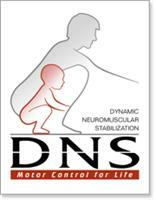 •Demonstrate how DNS corrective exercises can be integrated with other exercise strategies.